Love Don't Die is the very first single from the Fray's upcoming fourth studio album, which doesn't have an official title, cover or full listing yet. A few song have been named though, such as Wherever This Goes and Hold My Hand. Way back on June 4, 2013, the band has announced that they have started recording for this new album. Watch the new lyric video of Love Don't Die by The Fray. If you are on an iPhone and can't view this video from Facebook, here is the official audio released on the band's Youtube Vevo channel. 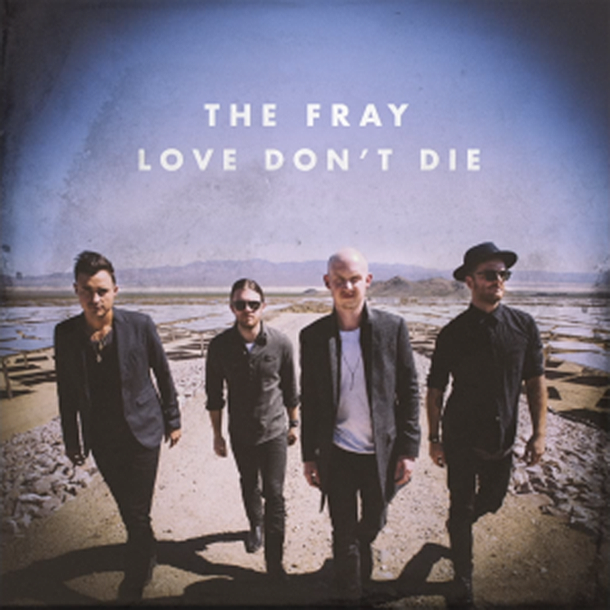 The official single of Love Don't Die The Fray will be released in iTunes on Monday, October 21, 2013. The yet to be titled fourth studio album by The Fray will be released January 14, 2014.